The transition from the Jewish community in Babylonia to Jewish communities in other parts of the world began already at the end of the eighth century. By the eleventh century the fulcrum of Jewish life had moved from Babylonia to new places in the world. The Jewish community of Babylonia had connections with a small but growing Jewish community in North Africa, countries that are today Tunisia, Morocco and Algeria. There were many centers of Jewish settlement in Morocco, including the cities of Kairouan, Fez and what is today Casablanca and Tunis. These Jews had loyalty to the Geonate (the Rabbinate) in Babylonia and supported the great academies and institutions there. But, physically speaking, especially in those times, they were a long way from Babylonia. It took almost a year for questions of Jewish law to come to Babylonia and then almost a year for the answer to come back. For various reasons, those communities were not equipped with their own scholars. Therefore, the Jewish communities there could not grow, expand or flourish unless they were somehow able to end their dependency on Babylonian Jewry and the Geonate/Rabbinate. There is an interesting legend how the Jewish community spread beyond the borders of Babylon. It is important to remark that although legends may not necessarily be fully accurate, they accurately portray the people and circumstances of the time. At the end of the eighth- beginning of the ninth century the academies in Babylon faced a serious economic crisis. They decided to send out emissaries to collect money. Usually, emissaries were not top echelon scholars. However, because the situation was so desperate they sent the leading members of the Talmudic community, the heads of the academies themselves. Three of the names are known to us. One was Rabbi Chushiel, the father of Rabbi Chananel, whom we will discuss ahead. Second was Rabbi Moshe, the father of Rabbi Chanoch, another famous Torah scholar. The third was Rabbi Shmaryahu. The fourth man has remained anonymous. These four great rabbis set out with their families to collect funds in faraway lands on behalf of the Babylonian academies. The Mediterranean was a dangerous place. Aside from the storms and the uncertain fate of ships, pirates abounded. And not only did these pirates look for booty, they looked for people they could kidnap and sell on the slave market. The pirates knew that if they could capture Jews, especially prominent Jews, they could collect a great ransom. Informers told them that there were four great rabbis on this ship and not two or three days out of port they were captured. The rabbis were first brought to Alexandria where Rabbi Shmaryahu was ransomed. But the pirates were unable to get a high enough price for four, so the remaining captives were brought west to the slave markets of Tunis and Fez. Back then, Tunis and Fez were like the Western frontier. There were Jews, but they were never able to attract great rabbinic leadership. Now they saw a golden opportunity and struck a deal. Then they made the rabbis an offer. They would ransom them, but on the condition they stayed and helped build a thriving Jewish community. Rabbi Chushiel and his son Rabbi Chananel agreed. Rabbi Moshe was ransomed in Spain. The fourth rabbi was sold in Sicily. From these rabbis grew strong Jewish communities, and that is how the center of Jewish life began to shift. Within 50 to 80 years (by the year 900) North African Jewry no longer felt subservient to Babylonian rule. 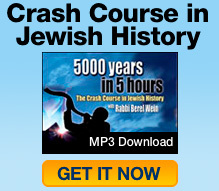 Simultaneously, this contributed to the decline of Babylon as the center of world Jewry. Now outlying communities no longer were limited to addressing their questions there. They had their own great scholars. Economically too, Babylon was no longer necessarily the first address to send money to. At that time, North Africa was populated by two tribes, the Berbers and the Moors. The Berbers were Arabs or close to the Arabs. The Moors were Africans of dark skin but Caucasian features. The Moors were sophisticated, cultured and technologically advanced for their time. They were, in fact, the cutting edge of civilization. They were poets, artists, artisans, mathematicians, merchants and ship builders. And they were very tolerant – probably the most tolerant of all the Muslims. At the same time, they were probably the least religious of all the Muslims. The Moors and Jews struck an alliance that would last almost 400 years – an alliance that would carry the Moors to Spain at the same time the Jews would experience a Golden Age unequaled, perhaps, until the modern era. The Berbers, on the other hand, were cavalrymen of note and fearless warriors. They were also good farmers and knew how to live in the mountains. Together, the Berbers supplied the brawn while the Moors supplied the brains – and together they became the leading force of civilization. North Africa became the land of opportunity for the Jews — just as the United States would later become the land of opportunity for Jews in Eastern Europe. That opportunity was immeasurably increased by the existence of great rabbis and academies in North Africa. It meant that a Jew could go to where opportunity existed without really sacrificing or compromising his religion. That, of course, only further undermined the Babylonian Jewish community. From the letters of the times, it is obvious that it increasingly became an older community, a community only for people who were well-established. Younger people who did not have much began to move to North Africa. That explains how that within the timespan of a century almost 150,000 Jews arrived in North Africa. The great rabbis of North Africa included Rabbi Chananel, the son of one of the four captives, Rabbi Chushiel. He was the rabbi in Kairouan. He wrote a commentary to the entire Talmud. The great rabbis of the early Middle Ages based much of their commentary on his. Rashi’s seminal commentary on the Talmud, for instance, bases many things upon Rabbi Chananel’s pioneering work. No one equaled Rashi – he was a gift from heaven that never came before or since – but the groundwork for his and other commentaries were laid during this era. The Rif lived more than 100 years and had five distinct generations of disciples because he headed an academy by the age of 20. His influence spanned not only that century but later centuries. The Rif composed the first of the basic books of Jewish law upon which the Shulchan Aruch, the codebook of Jewish law, was based. Therefore, while Rabbi Chananel wrote the Talmudic commentary that all future Talmudic commentaries were built upon, Rabbi Isaac, the Rif, wrote the Jewish law book that all future Jewish law codifications were built upon. Thanks to efforts from people like Rabbi Chananel and Rabbi Isaac the Jewish community in North Africa became very strong. Jews from that community would move into Spain when the Moors invaded and colonized Spain. At the same time the Sephardic communities were developing in North Africa and Spain, the Ashkenazic Jews were developing in France and the German Rhineland. Even though these two Jewish communities developed at the same time they occupied two completely different worlds, so to speak. The Jews in North Africa and Spain lived in a Muslim world. They lived in a sunny world, a world that was tolerant toward them (at least relatively speaking). The Ashkenazic Jews lived in a colder climate in more ways than one. They lived in a superstitious, primitive Christian world; in a world of constant danger and hatred; a world that would produce the Crusades; a world of fanaticism and feudalism; a world of the Black Death. It is mind-boggling to consider how Ashkenazic Jewry survived during those early centuries of its development. The spiritual founder of Ashkenazic Jewry was Rabbi Gershom ben Judah, known as Rabbeinu Gershom. He was the last of the Geonim. Born in 960 CE in Mainz (he died in 1030 CE), he lived most of his life in the French Rhineland, though he did travel as far as today’s Yugoslavia on the Adriatic. He is the father of Ashkanazic Jewry in the same way that Rabbi Chananel and Rabbi Isaac, the Rif, were the fathers of Sephardic Jewry. He is best known and most remembered for a number of decrees mentioned in his name which have become binding upon Ashkenazic Jewry. The most famous of those decrees was the ban against polygamy. Under the laws of the Torah a man was allowed to have more than one wife at one time – though as a social and practical matter, monogamy was by far the accepted norm for the traditional Jewish home. Polygamous marriages existed in the Torah, Prophets and Talmud — and especially in Jewish communities in the Arab countries. Rabbeinu Gershom came and banned polygamy. He did not spell out his reasons for the ban, but many have been advanced since. One reason mentioned by the commentators was to prevent licentiousness. A second reason was that they lived in a Christian society that was not only against polygamy, but against marriage! A religion that allowed or encouraged polygamy could not survive in that type of Christian-dominated society. Other reasons were advanced as well. Whatever the reason, the ban against polygamy took hold. Another decree Rabbeinu Gershom made was that a woman could not be divorced against her will. The ban in effect opposed frivolous divorce. If the woman did not agree, then the divorce could not be granted. Even today both parties have to agree to a Jewish divorce. Another decree of Rabbeinu Gershom had to do with apostate Jews. We cannot imagine the pressure Jews were subject to in medieval Europe to convert to Christianity. The pressure was not only economic and social, but came with the threat of death and torture. Many of these Jews recanted on their deathbeds. Others wanted to be accepted back into the Jewish community or at least be buried in a Jewish cemetery. There were many Jews who resented that – especially those who suffered under the same trying circumstances but did not succumb. They harbored an understandable feeling of animosity and bitterness toward those who did give in. Nevertheless, Rabbeinu Gershom defended the right of apostate Jews to return to Judaism. This policy was a milestone in Jewish history. These were only some of Rabbeinu Gershom’s decrees. All told, they helped lay the groundwork for European Jewry until this day. That is why he was considered the father of Ashkenazic Jewry.